The Belgian-born singer heads to the US! 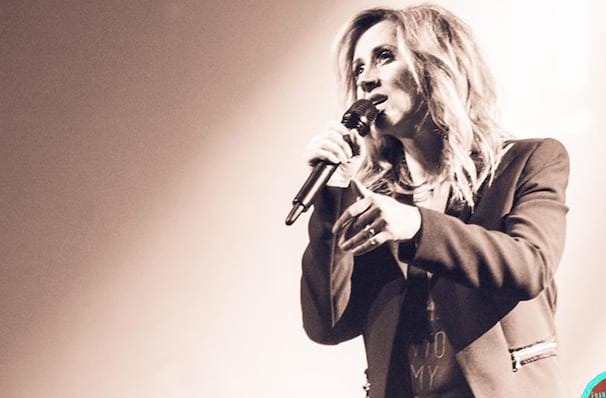 Following her last world tour, Camouflage, European superstar Lara Fabian is heading out on a world tour once again to celebrate her entire career! Beginning her career in the late 80s, Fabian has been a steady presence in multiple European charts, and she made her biggest splash in the American market with the upbeat floor-filler I Will Love Again in 2000. Over the years, Fabian hasn't slowed down on her passion. Releasing over 14 studio albums, garnering a generous amount of awards and nominations, and becoming one of the best-selling Belgian artists of all time. On the 50 World Tour, you'll get to hear all Fabian's greatest hits along with fan favorites, and also material off her recently released album Papillon. Sound good to you? Share this page on social media and let your friends know about Lara Fabian at San Jose Center for Performing Arts. Please note: The term San Jose Center for Performing Arts and/or Lara Fabian as well as all associated graphics, logos, and/or other trademarks, tradenames or copyrights are the property of the San Jose Center for Performing Arts and/or Lara Fabian and are used herein for factual descriptive purposes only. We are in no way associated with or authorized by the San Jose Center for Performing Arts and/or Lara Fabian and neither that entity nor any of its affiliates have licensed or endorsed us to sell tickets, goods and or services in conjunction with their events.